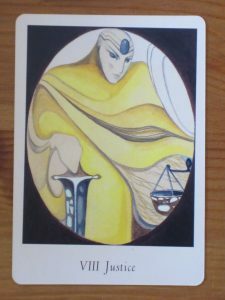 Wednesday’s Tarot card is Justice and she comes to tell you that everything is equal, balanced and fair, even if it doesn’t seem that way right now. Don’t concern yourself with “getting even” if someone has pissed you off or wronged you – just get on with your day, even if that feels difficult. You may feel extra challenged today when it comes to imposing your will on others – you may either be tempted to boss someone around or you might feel as though someone else is trying to do this to you. Focus on seeing the underlying theme of the situation. For example, if your friend is acting a bit manipulative, try to see what is going on underneath all of that – perhaps she is trying to control things because her life feels out of control. This will help you be compassionate and not take the behavior personally. 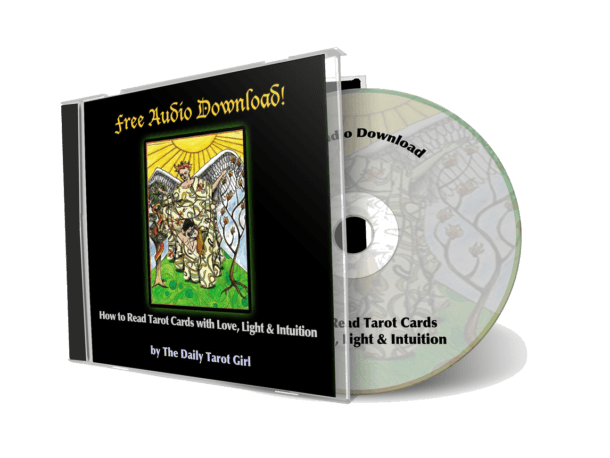 This entry was posted in July 2013 and tagged daily tarot card, intuitive tarot, justice tarot card, tarot card meanings, tarot card reading. Bookmark the permalink. It’s so funny, I’m trying to remember what yesterday (Wednesday) was even like! But I’m so caught up in work projects, that I can’t remember 24 hours ago. But I hope that I acted according to your nice read on Justice. As a Libra, I appreciate her balanced approach. Jamie, I cannot even remember what happened 20 min ago, let alone two days ago! So I don’t blame you! Ha ha – Scorpios sound terrible!